I'm pretty good at finding Four-Leaf Clovers. I found all of those one afternoon in a couple patches in my front yard. I didn't keep any of them. Recently I started keeping them! I seal each one in a strip of packaging tape! I usually find at least one each time I look. 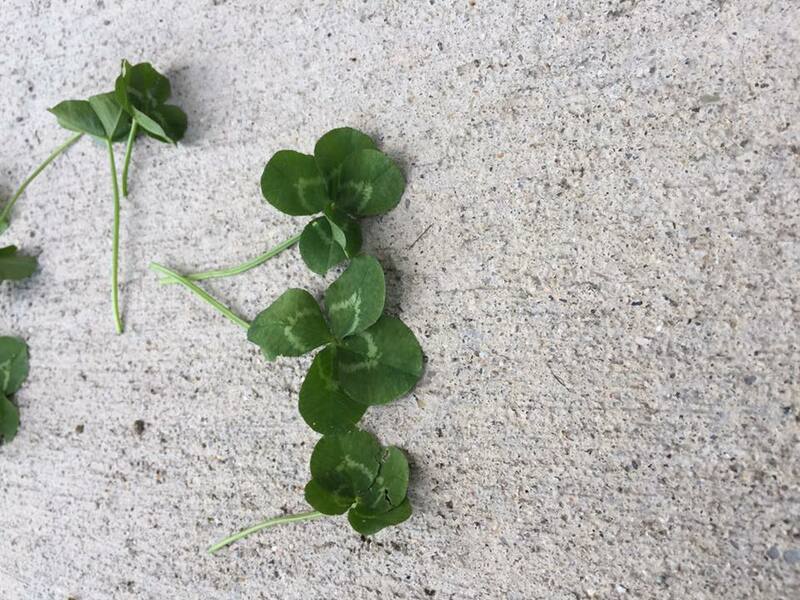 They turn brown fairly quickly, but they are all real four-leaf clovers! This is one I found over eight years ago! It's been in my wallet ever since. It still looks pretty great! If you would like a four-leaf clover (or two or 10) send me an e-mail at sethifusp@gmail.com! Make sure to write something like "four-leaf clover" "I need luck!" or something like that, otherwise I might not open it. 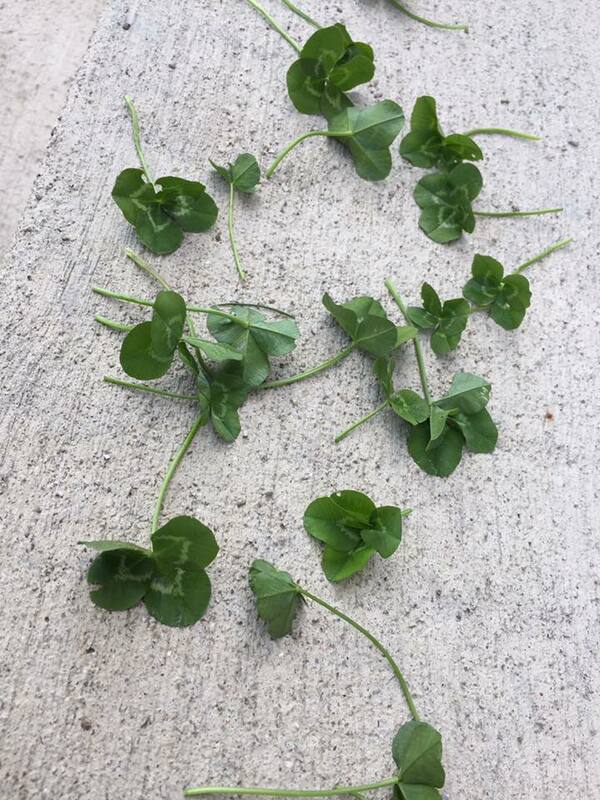 I will charge $5 for each four-leaf clover! 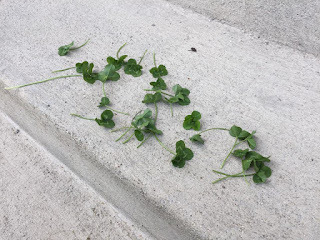 There will be a short note from me with the preserved four-leaf clover in an envelope. All sent to you wherever you are! You can pay me more if you like, I might add a drawing to the note or something like that. 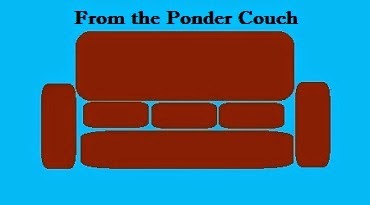 Here's my new "business" logo! Again, write to sethifusp@gmail.com if you want one! I'll write back with instructions and send the clover to you asap!